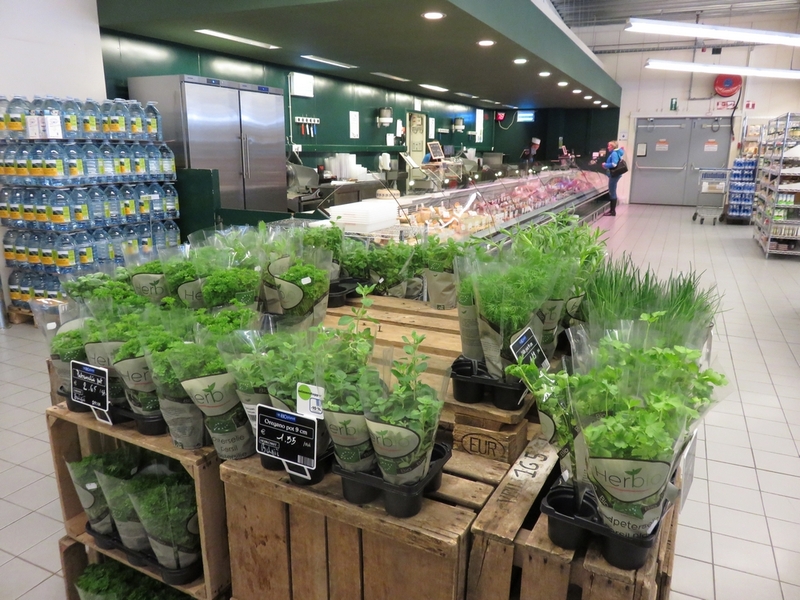 Shop review #23 – Bioplanet is a chain of organic supermarkets in Belgium. 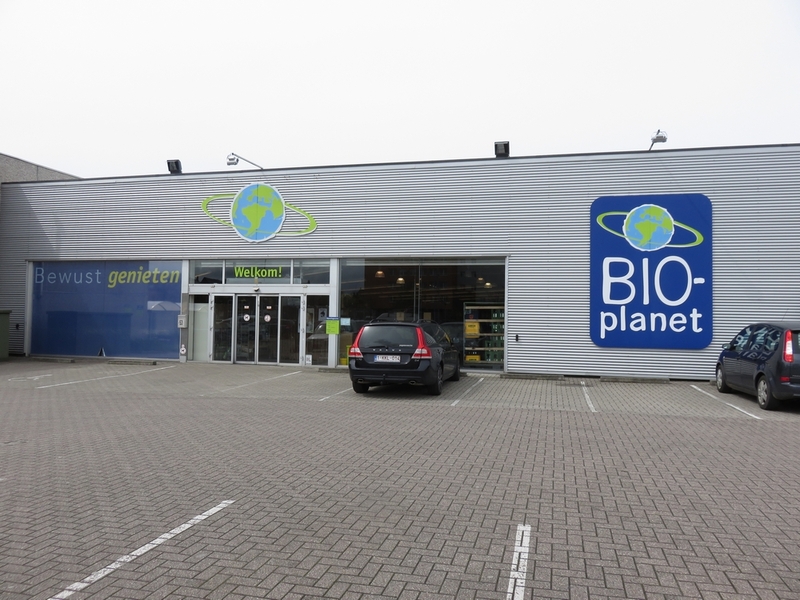 There is also a Bioplanet in Bruges, and it is located at the edge of the city, on the northside. There is easy parking in front of the shop. 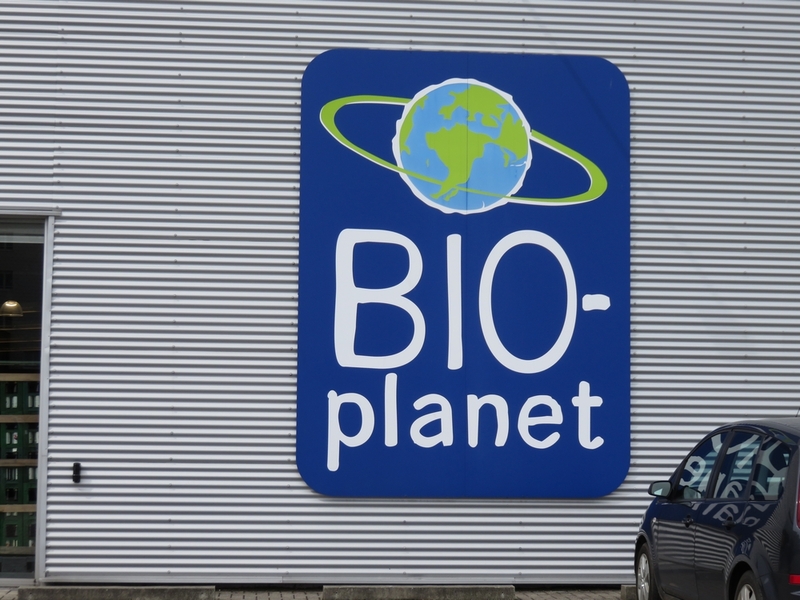 The Bioplanet is not as large as the regular (non-organic) supermarkets, but definitely larger than many other organic shops in Belgium. Bioplanet is not a vegan shop, but sells many vegan products which you won’t find so easily in ‘regular’ shops. To give you and idea: special cereals, sweeteners (agave, maple syrup, rice syrup, etc), nutrionial yeast, vegan cheeses, bread spreads, fresh fruits and vegetables, vegan milks (almond, rice, soy, ..), tofu and seitan, burgers, sausages, soy sauces, raw foods, supplements and herbal oils, body and care products, coffee and tee, pastas, vegan ice cream, nuts, dried berries and fruit, etc. The fridge counter (with many meats and cheeses) also has a selection of vegetarian stuff (like sausages, cordon blue, bread spreads) of which some are vegan (staff have a list available with all ingredients listed, so it’s easy to verify whether they are vegan). 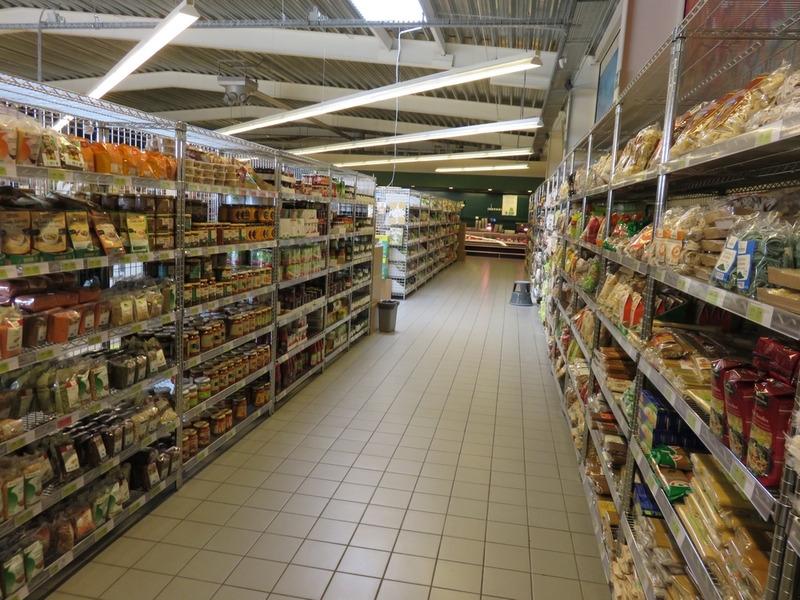 The vegan items on sale at Bioplanet are not specifically labelled on the price tags (like is the case at organic shop Biovita in Bruges), so if you are not sure, you do need to check labels. On my last visit, I took some time to look at the wines for sale, but could not find any with a vegan label (there probably are some wines that are listed on Barnivore.com, but I didn’t find any with a specific vegan label in the store). Staff at Bioplanet Bruges are always friendly, and happy to look up something if you can’t find it.